Scotland has some of the world's greatest melodies and this work will prove that beyond a doubt. My aim was to outline some of the stylistic motives allied to the work of one of Scotland's greatest musicians, the fiddler, Niel Gow (1727-1807). In Niel Gow's Shadow, Neil Smith has fused together four Scottish tunes to make one single concert work. The first theme is an unnamed composition by Nathaniel Gow (Niel's father) which leads into the famous 'Ye Banks and Braes'. The third theme may have been used by Gow but exists in the Thomson Book under the title 'Goodnight and God Be With You'. The work ends with a rousing arrangement of 'Scots Wha Hae'. 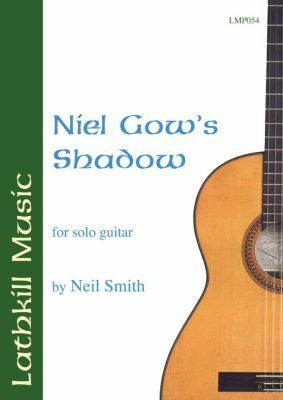 Niel Gow's Shadow is dedicated to the Italian guitarist Antonio de Innocentis.